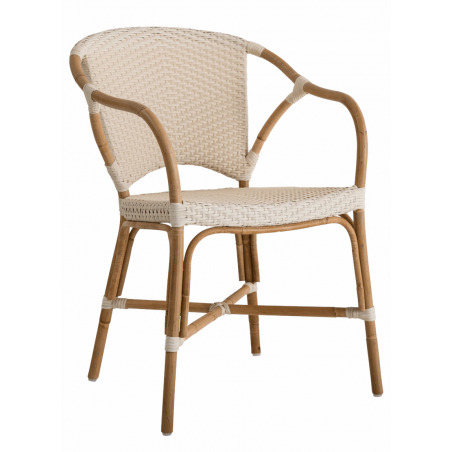 Rattan dining chair with armrest. The elegant structure combined with the pastel colours give the Sika Valerie Dinning Chair a gracious look. Bring freshness to your interior space with this designer rattan dining chair. 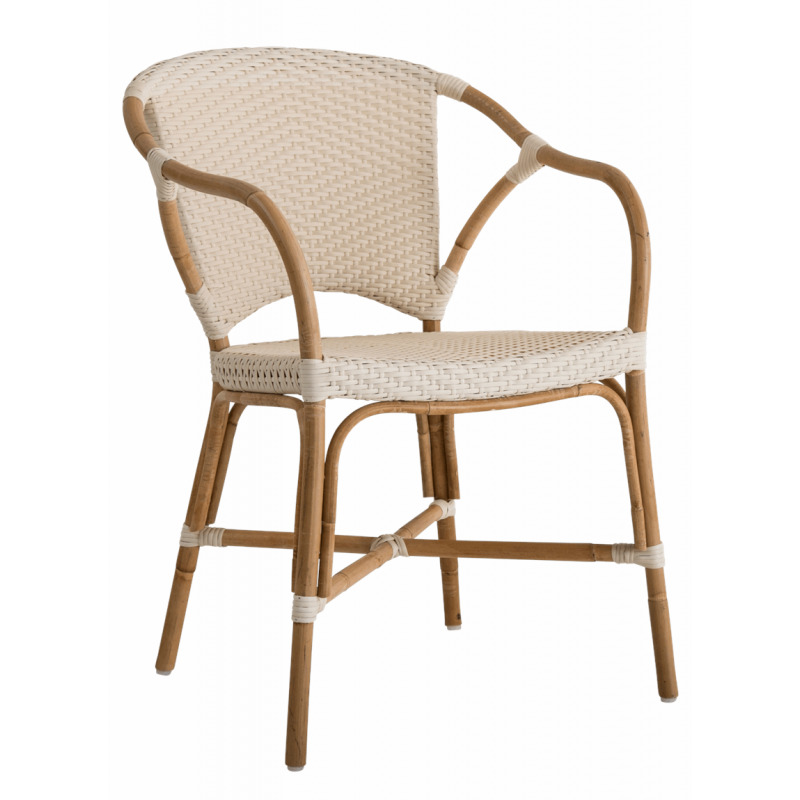 The structure of the chair is crafted using natural rattan bent to create beautiful curves. It is then braided with man-made fibre in pastel colours that are chosen carefully to match the natural shade of the rattan.